Willie Mendenhall 69 of Benton Harbor, transitioned on September 11, 2018, at Lakeland Hospital. Willie Zelma (Sheila)Mendenhall, Of Benton Harbor, Michigan. Departed this life on September 11, 2018, at Lakeland Medical Hospital. She was born October 19, 1948, in Prescott, Arkansas, to the union of Charlie Dunlap and Deola Dismuke. Willie Z. (Sheila)Mendenhall was united in Holy matrimony to James Edward Mendenhall Sr. in Malvern, Arkansas this union they had 5 children. 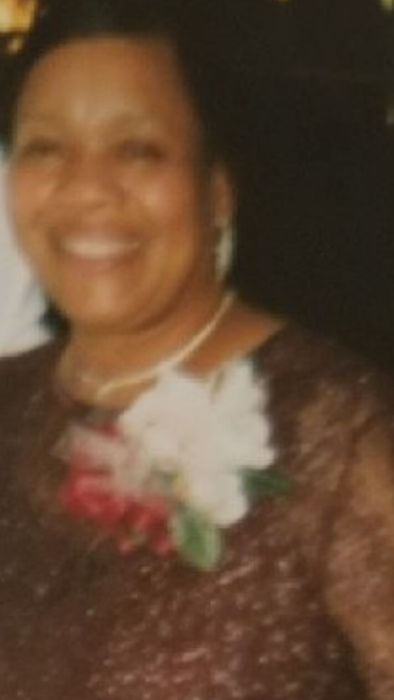 She later gave her life to Christ at an early age and became a member under the leadership of Pastor James Sanders Sr.
Willie Z. (Sheila)Mendenhall later moved to Benton Harbor, Michigan in 1967, where she became a member at Holy Temple Church of God in Christ under the Leadership of Administrator Rudolph Thomas. Where she was a faithful and active member of the church. Belonging to different auxiliaries in the church, where she was a member of the choir, Senior Deaconess board, Prayer and Bible band, YWCC, Mothers Board and Chair Lady to the District Missionary. And working and serving in the kitchen, until she was no longer able to do. Willie Z. (Sheila)Mendenhall was employed at Bendix, Shepard casting, Lakeland Homecare, and a private Adult Foster Homecare. Until she became disabled and could no longer work due to her illness. She enjoyed the company of family and friends, she was a praying woman who stayed encouraged until GOD called her home. She loved church and listening to gospel music, her favorite songs were; Jesus can work it out, up that mountain, you make me wanna dance (Rev. Rance Allen). She was a woman with faith when she had an issue with her body. She would always say... I’m going to pray about it because the Lord didn't bring me this far to leave me. It's going to get better, watch and see. Because there's a brighter day for me ahead. I have some good days coming. If you asked her how she was doing, her response would be; I'm doing good with the help of the good Lord. When she able to cook, she was known for her homemade banana puddings and caramel cakes. And if you ate at her house, she was going to make sure you were full on her food. She was all about giving. She leaves behind to cherish her memories (Mother) Deola Bush of Stockton, California (3 Daughters) Letitia A. Mendenhall of Montgomery, Illinois, Rita Mendenhall (Hegar), Tina L. Mendenhall both of Benton Harbor, Michigan (3) Sons James E. (Latrice)Mendenhall Jr. of Grand Rapids, Michigan, Darnell Mendenhall Xavier Jackson both of Benton Harbor, Michigan. A Special Son Muriel E. Lowe. (26) Grandchildren (13) Greatgrandchildren (4) Brothers, Johnny Walters of California, Billy Wayne Moore, Benny Harold Moone, Quincy McNeely all of Lubbock, Texas, (Sister in law) Mildred Wilson of Malvern, Arkansas (Brother in law) EveryJ (Florence) Mendenhall of Malvern, Arkansas (Goddaughters) Regina Rogers (Miller) Lashawnda Wooden both of Benton Harbor, Michigan. And a host of Aunts, Uncles from Rockford, Illinois. Nieces, nephews, and cousins. Willie Z. (Sheila)Mendenhall preceded in death by her father: Charlie Dunlap, Grandparents: Willis and Molly Dunlap, Grandparents: Dorthey and Reese Dismuke, Uncles: David Dunlap, Billy Wayne Dismuke, Benny Lil man Dismuke aunt: Cookie Dunlap, Reola Dismuke. Legacy farewell services will be held on Friday, September 21, 2018, at Holy Temple COGIC, 135 Walnut, St Benton Harbor, MI 49022 with visitation starting at 11:00 am followed by services at 12:00 noon.